THE SCHEDULE IS NOW POSTED HERE. Our theme is “A Worldview in the Light of Fatima.” Below is our list of speakers. Sister Maria Philomena, M.I.C.M. — Religious Sister of the Slaves of the Immaculate Heart of Mary, directress of the Saint Augustine Institute of Wisdom. Read more about Sister Maria Philomena here. Mr. James Hanisch — Former high-shool teacher and student of Prof. John Senior, Mr. Hanish now works full-time as a writer and researcher promoting the Fatima message. A fuller bio of Mr. Hanish, who is new to our venue, appears below. Mr. Gary Potter — Journalist and author of several books, including the soon-to-be-published As it is in Heaven; Christian Living and Social Order. Read more about Gary here. Mr. Charles Coulombe — Papal historian, lecturer, and author of several books, including The Pope’s Legion. Read more about Charles here. Mr. Mike Church — Founder and president of the Veritas Radio Network, former Sirius/XM radio host, independent film producer and publisher. Read more about Mike here. Brother André Marie, M.I.C.M. — Prior of the Slaves of the Immaculate Heart of Mary, Richmond, N.H., author, and host of the Internet radio show, Reconquest. Read more about Brother André Marie here. Mr. C.J. Doyle — Executive Director of the Catholic Action League of Massachusetts, former adviser and aide to the late Rep. James Craven, and former analyst for the Foundation for Economic Research. Read more about C.J. Doyle here. Mr. Martin Chouinard — Graduate of Thomas More College of Liberal Arts and Literature teacher at Immaculate Heart of Mary School. Read more about Martin here. About James Hanisch: A native of Tulsa, OK, Mr. Hanisch earned his Bachelor of Arts degree in English from the University of Kansas, where he was privileged also to participate in the Integrated Humanities Program conducted by Professors John Senior and Dennis Quinn. After nineteen brief, cherished years of teaching high-school boys, he joined the writing staff of The Fatima Center and worked closely with its director, Father Nicholas Gruner, until Father’s untimely passing in April 2015. Mr. Hanisch continues to serve as a staff writer for the Apostolate, and as moderator and content editor for its social media platforms. Mr. Hanisch is the author of the book Only She Can Help Us, which details both the present impetus toward a Third World War and the remedy to our dire situation as proffered by Our Lady of Fatima. He also contributed a lengthy Preface to Father Gruner’s book, Crucial Truths to Save Your Soul, and numerous articles for The Fatima Center’s quarterly journal, The Fatima Crusader, beginning with issue 106. 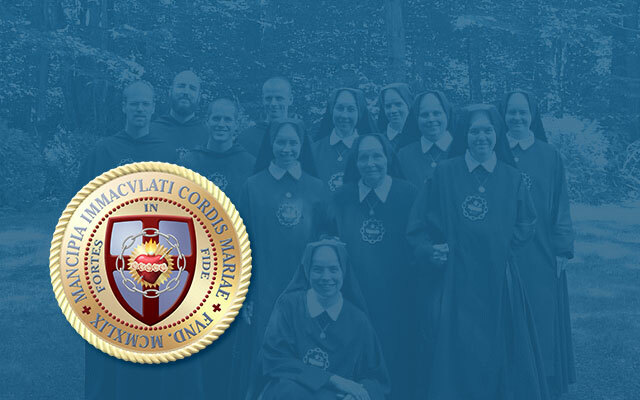 Two investigative summaries address the complex and controverted issues of the Secret of Fatima (pending publication) and the Consecration of Russia (titled “Reflections on the October 13, 2013 Marian Day – Our Continued Need to Pray and Sacrifice and Petition for the Consecration of Russia”).